Iron Goddess of Mercy Tea can be found in many specialty tea shops or through a number of online tea vendors. If you are unsure where to begin, you can check out some of my recommendations below. Ti Kuan Yin tea is best brewed in a porcelain vessel, like a gaiwan or in a traditional yixing, a teapot made from purple clay. Put 2 teaspoons of tea leaves into the teapot. If using a different vessel, use 2 teaspoons for every 8 oz. (236 ml) of water. You can get 3-6 infusions out of most Ti Kwan Yin teas. Increase the steeping time 30 seconds or so for each infusion. How many infusions you do depends entirely on your taste. Experiment. Here is a video to illustrate the brewing process. In the video I use a tea press (like this one), but the method is the same as for a gaiwan or an yixing. 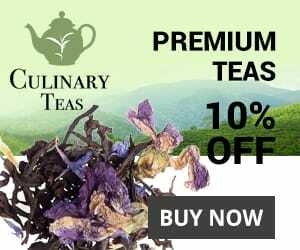 Many people already have an account with Amazon.com so it is probably the easiest place to buy tea online. They have a fairly large selection of low-priced Iron Goddess teas, but I’m not sure how good most of them are. One that is definitely pretty good is the Numi Organic Ti Kuan Yin. The highest quality option I’ve found is the Anxi Qing Xiang Tie Guan Yin from Teavivre. The same tea also comes in a roasted version called Anxi Yun Xiang Tie Guan Yin. Both are great teas and as good as you’ll find outside of China, but naturally, they aren’t cheap. 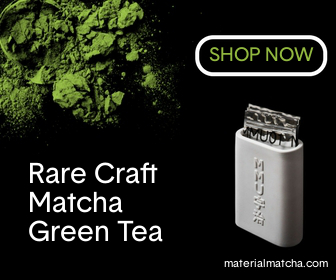 Another high quality option comes from Generation Tea. Their website looks like one of the first websites ever created, but their teas are great. Their 2016 Anxi Tieguanyin is wonderful. Art of tea have a pretty good regular Iron Goddess of Mercy Tea, that I really like. It is not quite as good as the three options above, but it’s still a great tea and it’s cheaper, making it a great bargain. For more on Iron Goddess tea check out the Wikipedia page.